Torrey Pines Beach offers a number of activities which include swimming, sunning, and surfing opportunities. It is a sandy beach that also contains a significant amount of rocks. Wear sandals or watch your step. The sea floor bottom, where surfing is also common, is general sandy but does have some rock clusters. You may want to make sure you are in deep enough water not to hit the bottom when you fall. It has been indicated in other sites that the beach has fairly large swells but also some currents that can hold you down for a while. Swells are highest January through June and taper during the summer months. On the North side of the beach waves can be between 3 and 6 feet providing an excellent surfing base. It is these large waves which can draw surfers to the area. 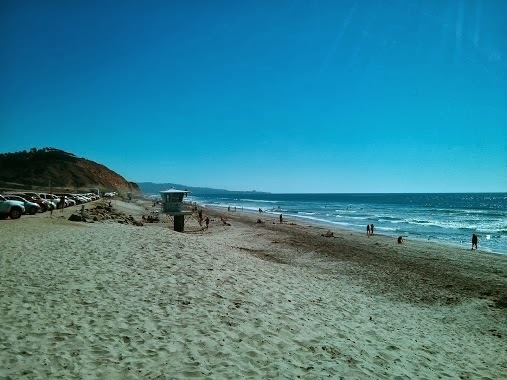 Torrey Pines Beach maintains a lifeguard, bathrooms, and showers on the north side of the beach. The area is well maintained but doesn’t appear groomed often. There is a 300 foot cliff hazard where increased rescues have taken place. Avoid unmarked walking trails. Some areas are not monitored by lifeguards and become swim at your own risk zones. 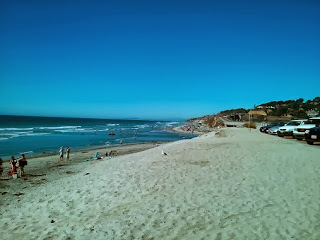 Torrey Pines Beach is approximately three miles running from Carmel Valley Road to Glider Port. 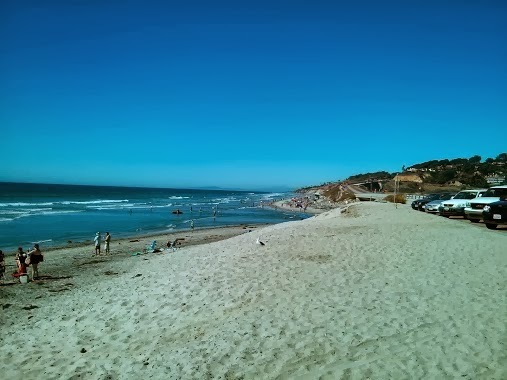 It is right between La Jolla and Del Mar. Parking is available near the beach for a price. It is possible to also find parking on HWY 101 but this depends on the time of the day. When parking on the highway you are already next to the beach so carrying items and equipment is easy. It is worth it to pass it before moving onto paid parking. To the East of HWY 101 is the Penasquitos river valley which is a wildlife reserve and to the south is the Torrey Pines State National Reserve Park. To the west of the beach is an underwater ecological reserve. This helps in protecting wildlife and visitors are restricted from crossing the shallow river under the bridge. There is plenty to do if one wants to make the day full of beach, hiking, and wildlife learning activities.